This innovative text for Neonatal Nurses and NICU clinicians introduces new, evidence-based care protocols proven to mitigate or reduce the profound morbidities and subsequent developmental challenges that afflict newborns in the NICU. The book reframes the concept of developmentally supportive care to trauma-informed, age-appropriate care of the hospitalized premature infant. Aimed at transforming NICU practice, the book links developmental care to quality standards and Joint Commission requirements. The text is also unique in its provision of engaging online learning activities that facilitate the translation of content into clinical practice, whereby the user can also earn CEUs. The text highlights the ways in which Nightingale's tenets of nursing and Watson's theory of human caring science resonate with the its subject matter and are applied in the NICU. It includes examples of favorable outcomes associated with the protocols described in this book from practitioners in the U.S. and overseas. Additionally, the text aligns with NANN guidelines for Age Appropriate Care of the Premature and Hospitalized Infant. 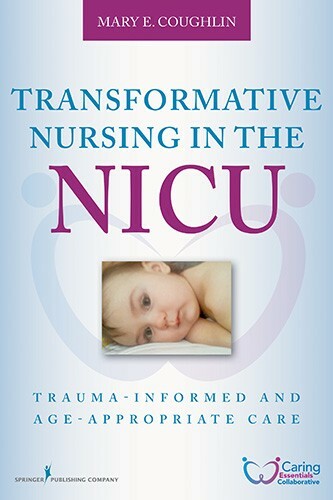 This book will provide the neonatal nurse/APN with best available, evidence-based caring strategies to consistently and reliably manage the trauma associated with the NICU experience and mitigate both short-term and long-term complications associated with this developmental trauma. 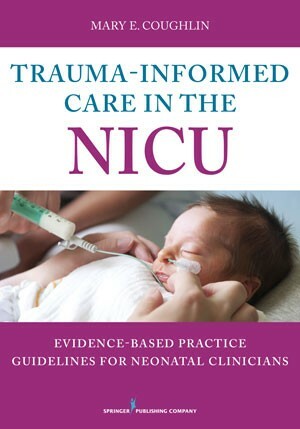 Written for neonatal nurses and NICU clinicians, this innovative book provides evidence-based guidelines and clinical practice recommendations that have been proven to mitigate the trauma experience of the hospitalized infant–family dyad. Including updated, evidence-based, age-appropriate care core measure attributes and criteria, these in-depth guidelines transform the NICU culture of care for measurable and sustainable results. Featuring the latest scientific research to support and explain the best practice recommendations and clinician and parent resources, the text outlines implementation strategies to support the adoption of trauma-informed, age-appropriate care in the NICU. The text reflects a growing awareness of the impact of early life adversity on the developing human being in the NICU. Substantiated by the converging multidisciplinary research on the science of human development, the provision of trauma-informed care in the NICU reduces the strain on the hospitalized infant and family. With endorsements by respected transdisciplinary neonatal clinicians, this text provides guidelines that encompass the five core measures for age-appropriate care, including the healing environment, pain and stress, protected sleep, activities for daily living, and family collaborative care. The book also features downloadable sample competencies, algorithms, and parent teaching guides, along with additional e-learning modules for continuing nursing education. A self-assessment checklist, allowing the rating of current practice related to the core measures for age-appropriate care, adds to the book's utility.